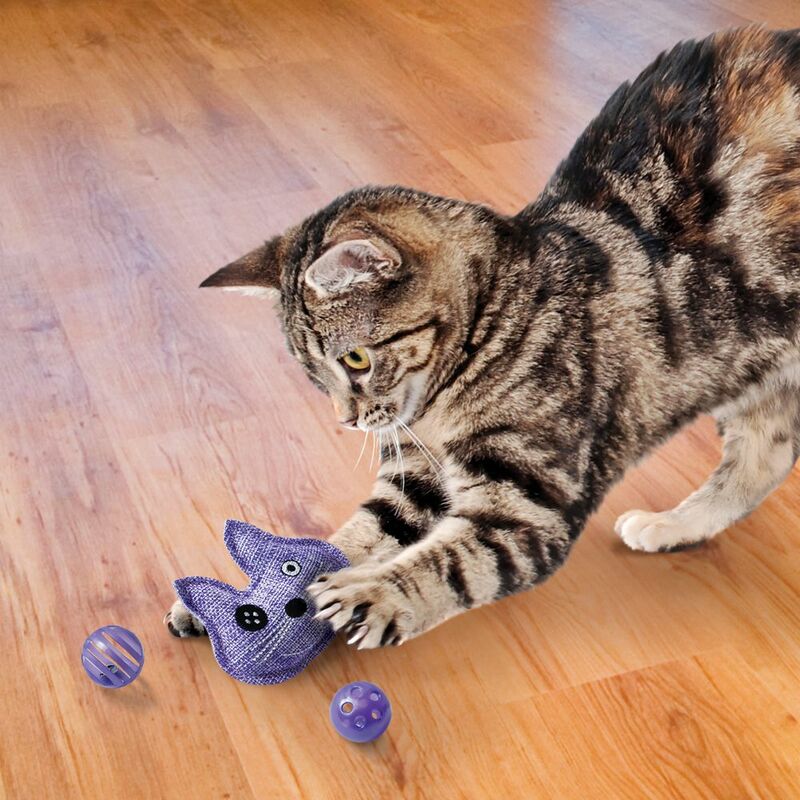 KONG Active cat toys keep cats moving and engaged. 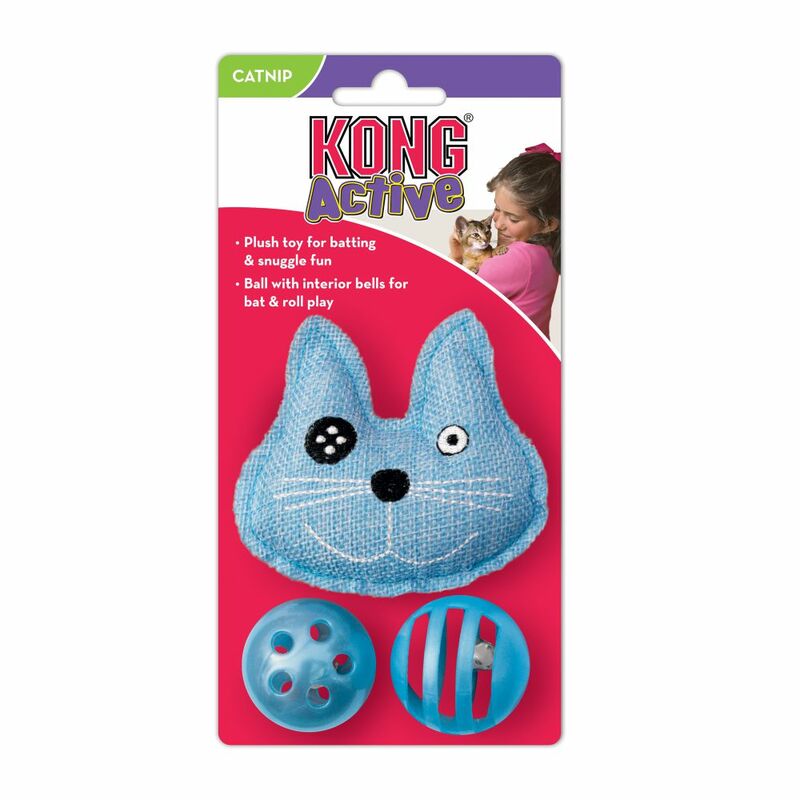 The KONG Trio has three toys for active play and cuddle time. 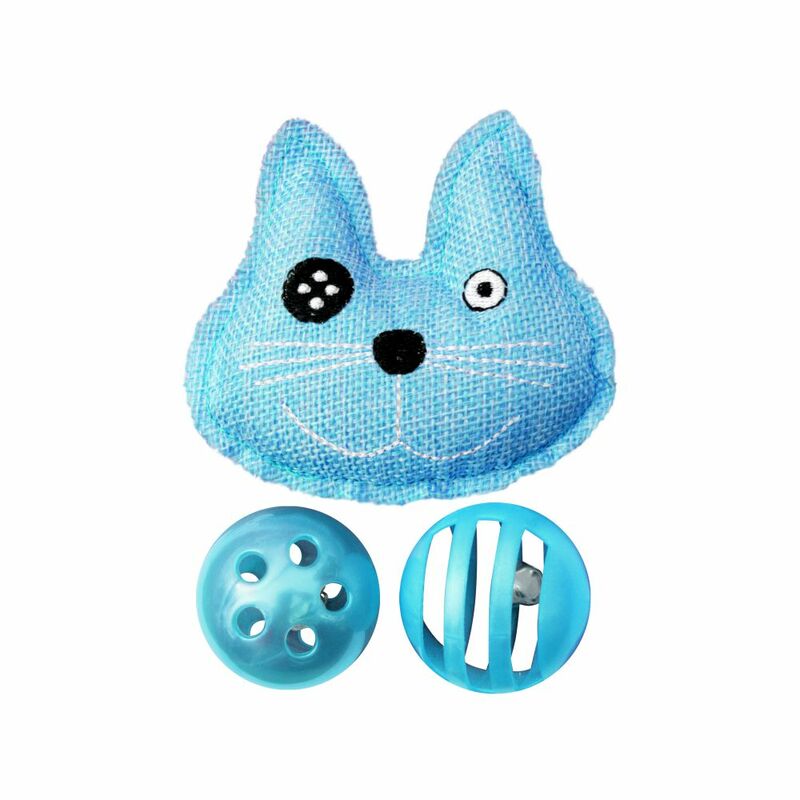 The overstuffed plush toy is ideal for batting and snuggle time fun. 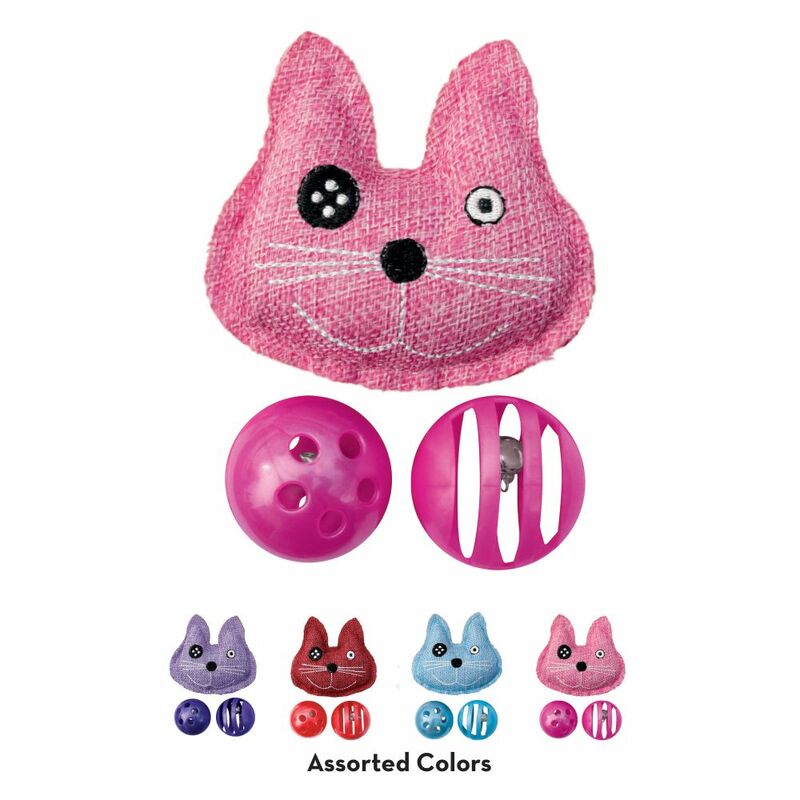 The two balls have an interior bell that engages and delights, making them great for bat & roll play, while the premium KONG North American Catnip extends play sessions for a complete package of fun.